Smart, loyal, and quick-witted, Bonnie is all about getting things done. A key member of our in-house staff, Bonnie supports both field and office personnel including managing essential contracts, collecting and delivering documents, and maintaining the continuous distribution of information between jobsites and the main office. Bonnie stays busy making sure people are receiving support wherever they need it, managing office equipment, and performing numerous activities to keep the office running at peak efficiency. Lois is a key player on our Accounting team, with a number of years’ experience in finance and administration. She completes the payment and controls expenses by receiving, processing, verifying, and reconciling invoices for all of the projects that our team is working on. 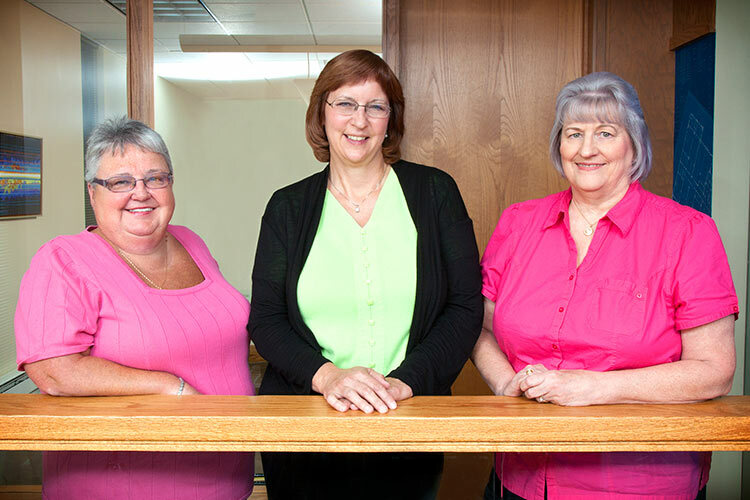 As controller, Debbie is responsible for A. Martini & Co.’s daily accounting operations. Her hard work, requiring flexibility in a fast-paced environment, keeps the company’s operations moving smoothly and efficiently. Debbie is recognized by her coworkers for her willingness to help, her advanced knowledge of industry regulations and laws, and her positive approach to the task at hand.